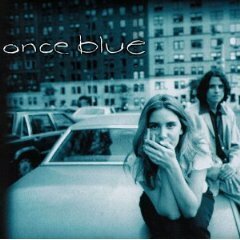 Once Blue was a popular group led by Rebecca Martin and Jesse Harris. It featured musicians Ben Street, Kurt Rosenwinkel and Kenny Wollesen. Popular in the 90’s, the band made headlines, topped the AAA radio charts, sold over 40,000 records on the EMI Label and toured the country with the likes of Lisa Loeb, Shawn Colvin, Squeeze and many others. Click on cover to purchase on iTunes.